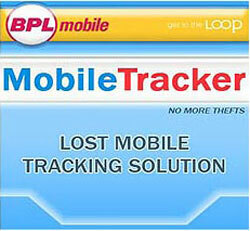 BPL Mobile has announced a new service which no other operator has barged upon. Called as Mobile Tracker, it is a nifty application which discreetly sits in the phone monitoring if there is any change of SIM card. If it finds that the SIM card has been changed, it sends a message through the phone’s kernel to pre set two alternate numbers which has to be inserted during the initial installation of the app. Another smart feature is that it automatically sends periodical updates every 60 minutes to the numbers informing the real owner about the whereabouts of the phone. To use this service, BPL Mobile user has to pay Rs. 149 towards the purchase of the software which is an onetime fee. One of the biggest drawback of this service is that it only supports Symbian OS (Series 60 phones) and if all you Java phone owners won’t be able to use it. The service is unique but if you consider, it is just the software’s price you are paying for. So if you sensed it, NON BPL Mobile users may also get it to work. As mentioned earlier it offers a variety of phones but it is only Symbian phones which are supported. If you’re desperate to use the same kind of software then you may consider any of the latest Samsung phones which comes equipped with Mobile Tracker technology.